Where does a parent go when a child is born with a birth defect such as cleft lip or palate? Where does a breast cancer survivor turn to when double mastectomy? Or, perhaps a traumatic injury or genetic disease has permanently affected? The office of Dr.Olson is here to help in all aspects of reconstructive surgery - to give renewed self-confidence and mobility to those affected by disease, trauma or genetic conditions. Dr. Olson and his team will take a detailed medical history and evaluate your case based on your desired results and medical necessity. Like the procedures themselves, there are multiple surgical methods to achieve the desired results. Dr. Olson will help you weigh all options so an educated decision can be made for both yourself and your family. For adults, scars can be a painful reminder of a traumatic event, or an embarrassing mark in a conspicuous place on the body. Or perhaps a serious burn had long lasting effects on underlying muscle tissue and mobility is affected? For children, the embarrassment and humiliation of scarring may be even more intense. While nothing can completely remove a scar, many scars can be improved with safe and effective scar reduction procedures. By thorough examination, Dr. Olson will discuss factors that affect scarring, different types of scars, and recommend the most successful treatment options, and what might be done to improve your scar's appearance. Options range from simple topical treatments and injections, to scar excision with revision. Call 732.418.1888 to schedule a consultation with acclaimed reconstructive plastic surgeon, Dr. Olson. Breast reconstruction is an excellent solution for those who are seeking reconstruction of the breast after a mastectomy due to cancer or other disease.. The procedure is often covered by many HMO's after breast cancer surgery and there is currently legislation in federal government to enact a law mandating coverage of this procedure. Using the newest medical techniques, a plastic surgeon is often able to create a breast that is similar in form and appearance to that of the natural breast. A consultation with Dr. Olson will provide you with information on the many available options for post-mastectomy breast reconstruction. There are many options for breast reconstruction. Deciding which reconstruction method is best for you will be discussed during your consultation. Your personal preferences, body shape, prior surgeries, current medical condition and cancer treatment needs are all considered. Growing up is difficult enough. Growing up while being teased about protruding ears can be unbearable. Ear pinning or otoplasty is a relatively simple operation intended to produce more normal-looking, and proportional ears. Surprisingly, many otoplasties are performed on children so the correction is completed and healed before a child can be ridiculed by his or her peers, as can often happen. This is a safe and recommended surgery for juvenile candidates, as ears reach about 80% of their adult size by age five or six, and is a straightforward operation for teens and adults, as well. For children, an otoplasty is typically conducted while under general anesthesia on an outpatient basis or for a very short stay. For teens or adults, ear pinning is a very comfortable operation to have on an outpatient basis and can even be done under local sedation. A cleft lip is a split or separation of the two sides of the upper lip and appears as a narrow opening or gap in the skin of the upper lip. The gap can extend beyond the base of the nose and includes the bones of the upper jaw and/or upper gum. A cleft palate is a split or opening in the roof of the mouth. A cleft palate can involve the hard palate (the bony front portion of the roof of the mouth), and/or the soft palate (the soft back portion of the roof of the mouth). Both of these conditions occurs during pregnancy while the baby is still developing. If your child was born with either or both of these conditions, your doctor will probably recommend surgery to repair it. Medical professionals have made great advances in treating children with clefts and can do a lot to help your child lead a normal, healthy, happy life. Dr. Olson treats pediatric patients with clinical expertise. He will create a coordinated custom plan for treatment and follow-up, which is shared and discussed with the family. 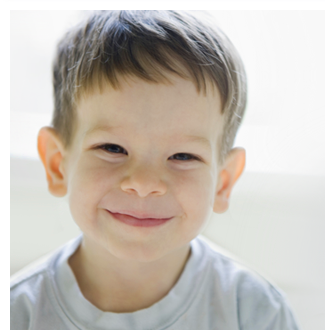 The overarching goal is to provide each child the best chance for a positive self-image and optimal appearance, speech, hearing, vision, and dentition.